As some of you might know, I am a coupon girl! I never leave the house without a fist full of carefully selected coupons when I am headed to the grocery store. I have the “SnipSnap” App on my phone so I can get a deal nearly everywhere I go. Well, last week there was a sale on graham crackers and I had coupons to reduce the price to 75 cents per box. I bought 6 boxes. We were headed out of town for a week and I thought they would be a great car snack to pack for the trip. When I arrived home with my groceries, M spied a cool recipe on the back of one of the graham cracker boxes and she asked if she could make the recipe for dessert. She said that it was a no-bake recipe. I was delighted because it was too hot to turn on the oven to compete with the air conditioner. The next day, I headed to work and M made the frozen graham cracker recipe. We have an agreement that while Dad and I aren’t home, no ovens or blenders are to be used without permission. The original recipe called for pulsing the fruit in the blender. Instead, M chopped the fruit and added it to the yogurt mixture. When I arrived home from work, I was thrilled to see her creation and ohhhh, they were so yummy and refreshing. They were gone in no time at all! Below, I have listed our adapted recipe but have included the website for the original recipe as well. Line a 9-inch square pan with waxed paper, placed so paper extends over the sides of the pan . Arrange half the graham cracker pieces, in 3 rows on bottom of pan. In a medium bowl, combine strawberries, bananas, and blueberries. Add the yogurt and whipped topping; mix well. 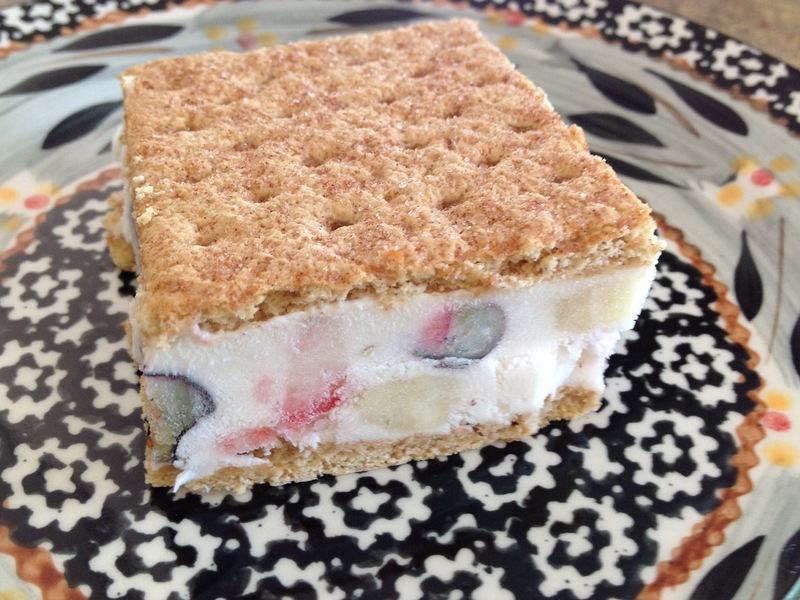 Spread fruit and yogurt mixture over graham cracker pieces. Top with remaining graham crackers aligning to match the graham cracker pieces on bottom layer. Place in the freezer for 4 hours. Use waxed paper handles to remove dessert from pan; cut between graham crackers to form bars. Oh My Goodness…the sun is shining and it finally feels like Spring! I made these delicious cupcakes to celebrate the beginning of a long holiday weekend. Mix cake batter adding eggs, oil, and water as directed on the cake mix box. With a mixer on medium speed, incorporate lemonade mix and almond extract. Fold in strawberries. 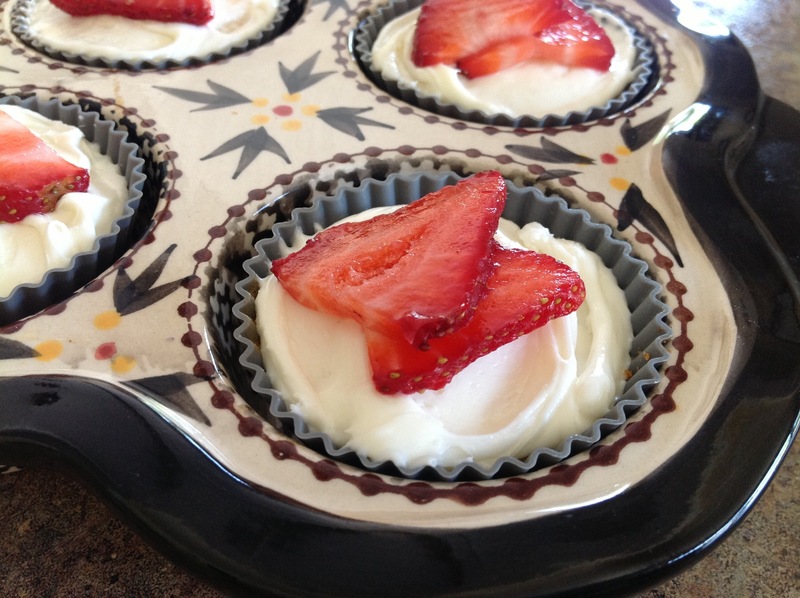 Place cupcake liners in cupcake pan. Fill each to 2/3 full. Bake for 16-18 minutes. Cool completely and top with cream cheese frosting or with my Powdered Sugar Glaze. 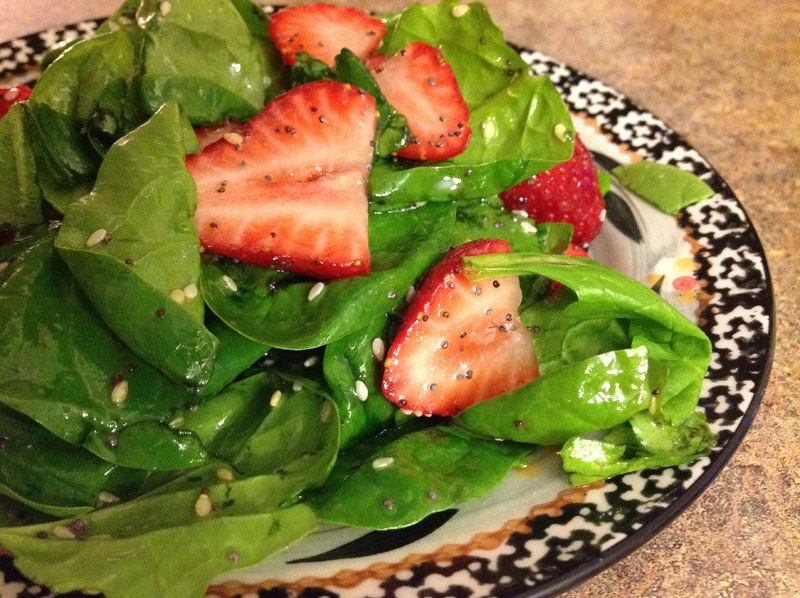 Garnish with sliced strawberries. Make 2 1/2 dozen.